1. Managing Change: An Overview of Recent Updates Impacting Federal Contractors: When it comes to creating and implementing regulations that impact HR professionals, Office of Federal Contract Compliance Programs hasn’t slowed down. Over the last few years the HR community has been busier than ever managing these changes. In this presentation at 1:10 p.m., attendees will receive an overview of the newest policies impacting their compliance obligations, a reminder of the items they should be evaluating, and tools and resources to ensure they meet the latest requirements. 2. Under the Microscope: How the Government Will Examine Your Section 503 and VEVRAA Compliance: With recent statutory and regulatory changes, employers are facing greater scrutiny of the impact their employment practices have on Individuals with Disabilities and Protected Veterans. 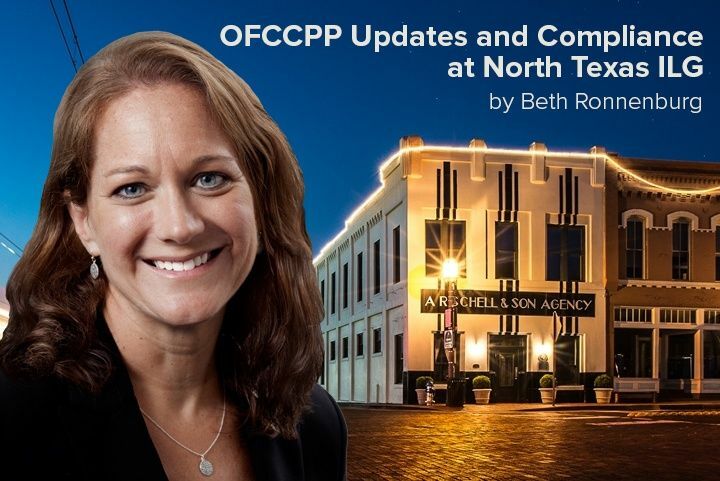 At 2:45 p.m. Beth will review proven strategies for compliance based on OFCCP enforcement activities under VEVRAA and Section 503 of the Rehabilitation Act of 1973. To book a Berkshire expert to speak at your next event, please contact Lauren Collinson at 800.882.8904, ext. 1307.